Set a goal & make a plan. Pay attention to what times of day your target market is most active on Instagram. If you are using an Instagram business account, Instagram provides this info in the Insights section. Decide how much you want to make, and how many prints or original pieces you’ll need to sell to meet your goal. Write your posts in advance, including your hashtags, so that you can copy/paste at the appropriate time (or schedule your posts to go out automatically if you’re using Hootsuite and Instagram for Business). Successful flash sales offer deep discounts. If you’re not comfortable discounting your artwork, that’s totally okay. If you don’t want to discount your original work, a flash sale can be used to burn through an excess inventory of prints. You could also experiment with bundling prints and originals together. You can also use the flash sale method to debut new originals, no discount necessary. Use a hashtag. A hashtag can be helpful if you’ll be publicizing your sale ahead of time. The key to success, as with any social media platform, is learning to play the game. Research how to accurately and effectively use hashtags, and go for it! Decide whether it will be a surprise. Some businesses use flash sales as a pleasant surprise to their regular followers. Others hold a brief sale at the same time/day every week or month. If you have an active audience on Instagram, you can even experiment with offering new collections for sale at the same time and day at whatever time interval it takes for you to make new work. Ensure customers can order quickly. Make sure you have your sales process in place from start to finish before beginning the sale. An easy and common method is to ask customers to comment with their Paypal email- the first to comment with their email address gets the item, and you invoice them immediately. If you choose to go this route, have your invoices ready in Paypal so all you have to do is plug in their email address and hit send. Buyers will appreciate the efficiency. Leverage other people to draw attention to your sale. 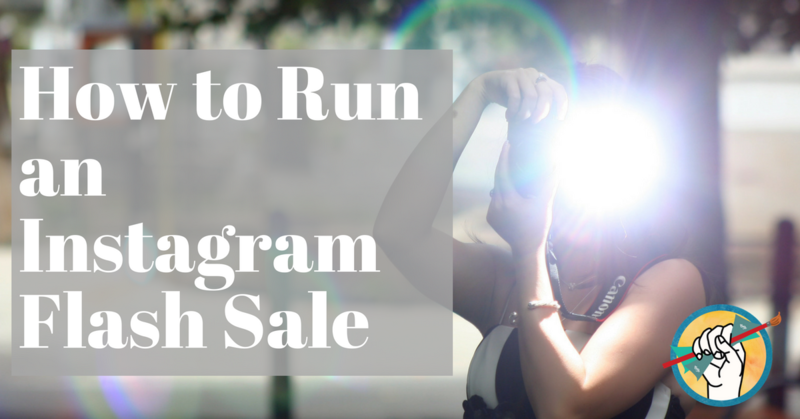 Get more eyes on your sale by leveraging other people’s people to post about your sale. Need help figuring out how to do this? 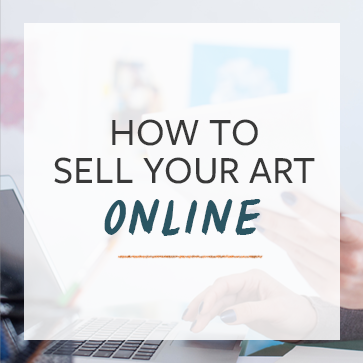 We’re running a live workshop on March 23 for How to Sell Your Art Online 301: PR & Media Outreach. Have you ever sold your work with a flash sale? We’d love to hear about it in the comments! If you’re on the fence about using Instagram to sell your art, check out this post on how to choose the right social media platform.